Boost your professional organizing business through public speaking. Know what to ask and how to be prepared for any speaking engagement. 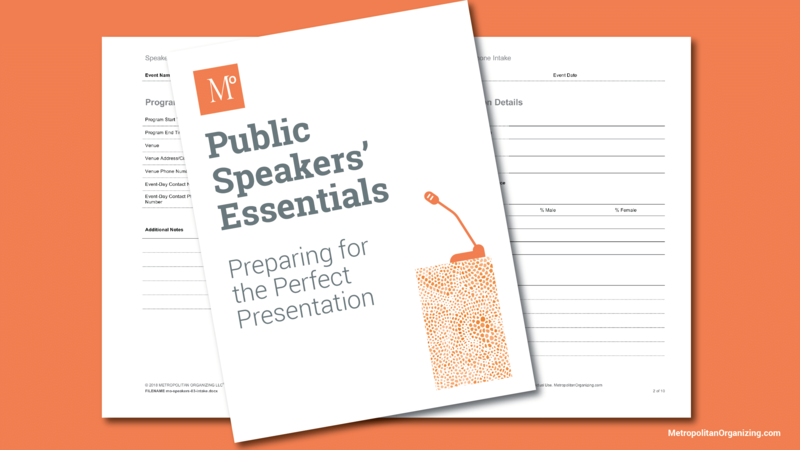 Organize your public speaking career with this detail-oriented set of forms. Ask the right questions, know in advance exactly what you are agreeing to and who your audience is. Streamline the process and project professionalism. Questions to ask during the first phone call to begin the agreement and planning process. This is your follow-up. This form is designed to help you professionally articulate the questions that will help determine if the client and project match your skills and interests. It also identifies the myriad of little details that need to be clarified before entering into any kind of agreement. The more you know to ask, the more you can learn about the things you (or the client) might never have considered. A written agreement that codifies everything you’ve ascertained about the client’s needs and communicated your mutual expectations of one another. The Agreement is your opportunity to organize all of the countless details and ensure that nothing is misunderstood, miscommunicated or forgotten. This feedback form provides multiple benefits. First, it gives you, as a speaker, a reality check regarding all the facets that make up your presentation skills: your content, delivery style, and supporting materials, as well as your ability to connect with an audience, educate and entertain, and most importantly, meet the client’s objectives. The detailed Speakers’ Evaluation Form gives you the opportunity to fortify areas of weakness, expand on your strengths, increase your confidence, and diversify your presentation offerings. Embrace the feedback you receive so that you can strive to not only get better as a professional speaker, but to surpass client expectations. A superior speaking engagement means that happy clients (and attendees) will speak highly of you and help your marketing efforts so you can secure more (and higher-paying) speaking jobs and client engagements. 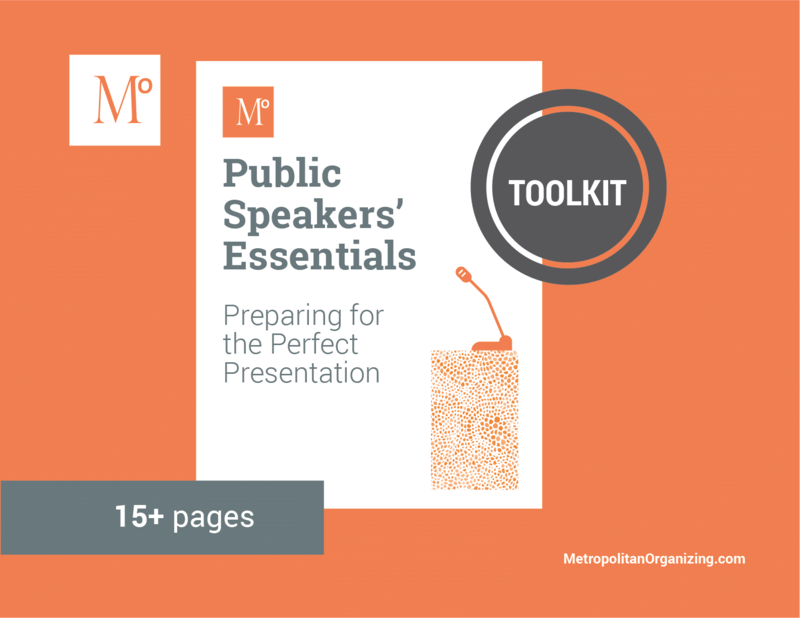 The essential information and items you will need to take with you to ensure a smooth event day and presentation.